Understand the basics of the German Language to talk about your hobbies, family, interests and more through expert tuition. Group German classes are one of the best ways to learn a new language. 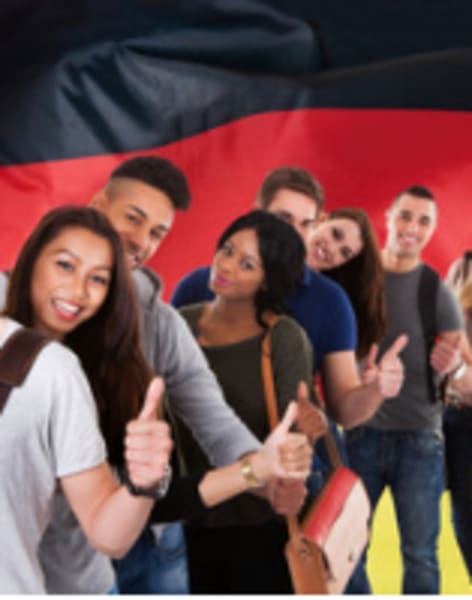 If you have a group of friends, fellow students or even colleagues who all want to learn to speak German then why not enrol onto a large group class which can help you learn the language effectively and efficiently. As you progress through your learning materials, support each other and practice often both inside and outside of the classroom. The more practice you undertake the more fluent you will become. The German tutor assigned to your group training will be highly qualified and experienced in the delivery of this type of training and they will tailor the syllabus and learning outcomes to suit your specific style of learning and requirements. Whether you are in a group who need to learn for work, study or you are visiting a German speaking country with a group of friends on an extended period of travel, learning German can only be a positive experience. 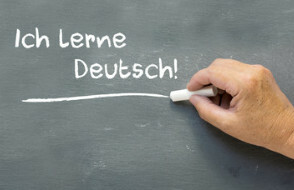 Providing German language lessons for all, Conversation Piece has been organising German tuition for students across the UK since 1990, with over 300 German teachers registered throughout the country. Offering tuition for all levels, Conversation Piece will help you to increase your knowledge, expand your vocabulary, and improve your fluency, whatever your age or skill level. They also offer German revision courses for GCSE, A-level, and other German exam students, as well as Intensive Courses for improving your German quickly. If you’re a senior citizen or university student, you might also qualify for a discount!